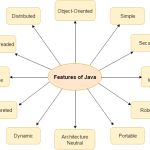 Java 2 Enterprise Edition (J2EE) is a platform-independent, Java-based environment. It is developed by Sun Microsystem. It is mainly used for developing and deploying web-based applications. J2EE consists of APIs, set of services and protocols. 1. J2EE supports HTML, Java applets. It depends on Java Server Pages (JSP) and Servlet code to create HTML or other formatted data for the client.The frameworks and technologies used in Java and J2EE share many of the same concepts (e.g. streams, containers, readers, writers, etc.). 2. An EJB (Enterprise Java Bean) server offers functions such as threading, concurrency, security and memory management. These services are transparent to the author. 3. JDBC is the standard interface for java databases. 4. The Java servlet API boosts reliability for developers without requiring a graphical user interface. 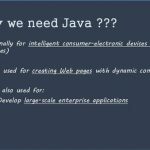 Why online training on J2EE? J2EE is a very important environment in this era of IT. Being a Java-based environment, it is considered as a secure environment. So, there is a demand for a J2EE developer in many organizations. Potential J2EE developers have a very good career in this field, especially if they have any global certification (from Sun) on that particular domain. But to clear the global examination is not as easy as you are thinking. So, you need a through training on it. But we all are very busy with our workload. So, all students are looking for flexible timings for their classes. No class room training is able to give you that much of flexibility and support as given by the online training. In online training you can choose your class slots according to your convenience and you will get 24 hours online support to solve your problems. Java Servlets are small programs that run on an Application server and act as a middle layer between the requests coming from a Web browser (or other HTTP clients) and databases (or applications on the HTTP server). Java Servlets often serve the same resolution as programs implemented using the Common Gateway Interface (CGI). Servlet life cycle means the entire process from its creation to its destruction. 1. 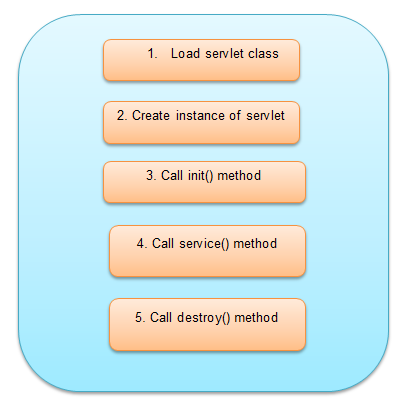 Servlet is initialized by calling init() methods. 2. After that, it calls its service() method to process the request. 3. It is terminated by calling destroy() method. 4. Finally, it is collected by the garbage collector (GC) of the JVM (Java Virtual machine). A GET request results from a normal request for a URL or from an HTML form that has no METHOD specified and it should be handled by doGet() method. A POST request results from an HTML form that specifically lists POST as the METHOD and it should be handled by doPost() method.